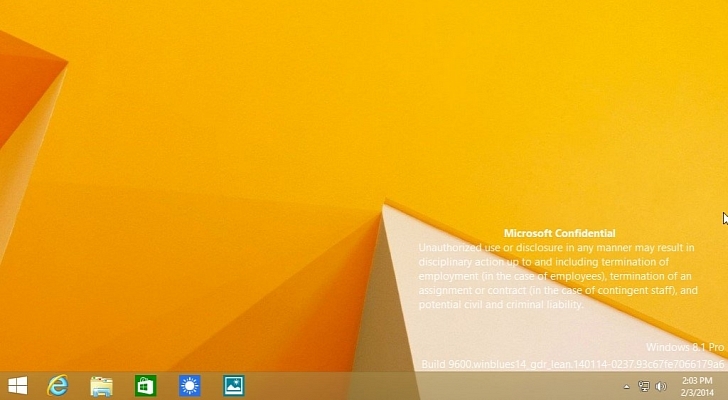 Windows 8.1 update 1 is under development stage though most of the features are already present in the leaked build. According to WZor, the famous Windows leaker Microsoft is ready to send out the first update to Windows 8.1 on or before February 23 to the OEM ( RTM stage ). Microsoft is giving finishing touch to the update currently and Windows 8.1 update 1 will be officially released on April 8 which gives a full month for the OEM's to install the latest updates on their devices. It is also notable that Windows 8.1 update 1 may also debut in smaller devices.